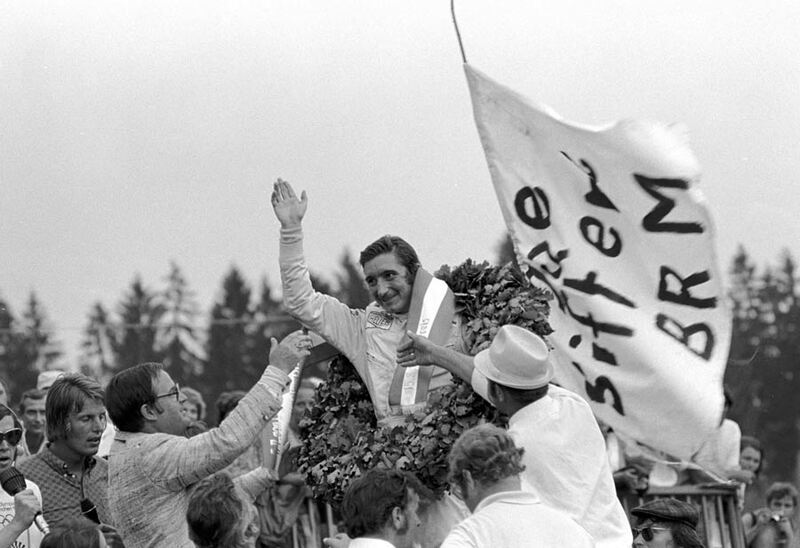 Jo Siffert upset the applecart at the Osterreichring as he won the Austrian Grand Prix for BRM but Jackie Stewart claimed his second drivers' title despite retiring from the race. Stewart retired when he lost a wheel on lap 36 but championship rival Jacky Ickx retired as well meaning that Stewart was crowned world champion. Siffert made a good start from pole and held off the challenges of Stewart and Clay Regazzoni (Ferrari) with the second Tyrrell of Francois Cevert, Jacky Ickx (Ferrari) and Tim Schenken (Brabham) in pursuit. The Ferrari challenge evaporated on lap 32 when both cars were out with engine failure which allowed Cevert up to third and Schenken to fourth, but Cevert was able to close on team-mate Stewart who was struggling with the handling of his Tyrrell. Cevert retired when his engine failed on lap 34 and Emerson Fittipaldi's Lotus passed Schenken to inherit second place behind the BRM of Siffert. Stewart was forced to watch the climax of the race from the pits after his Tyrrell suffered suspension failure, lost a rear wheel and veered over the grass at 100mph before sliding to a halt. It was an unfitting end for a Tyrrell which had been ultra reliable all year, but with Ickx out as well there was no-on who could now match Stewart's points score and he was World Champion. At the front, Siffert's easy win became anything but as he suffered a slow puncture which allowed Fittipaldi to cut into a lead which had been 20 seconds with ten laps to go but which was just over four seconds by the end. "One or two more laps would have been too much," Siffert admitted. "But we deserve a bit of luck." A young Austrian by the name of Niki Lauda also made his grand prix debut but retired from the race on lap 20.